Portland, Maine, has been featured by National Geographic, Travel & Leisure, the New York Times, and more, as one of the best cities in the United States. As Mainers, we already know that our Portland is one of the coolest small cities around. With more restaurants per capita than almost every city in the country, some of the best craft brews in the world, and a short drive to the Great Outdoors, Portland has a lot to offer locals and visitors alike. Here are the 10 best things to do in the city. Ranked as one of the top cities for craft beers in the world by Matador Network, Portland has over 17 breweries within the city limits. The Maine Brew Bus is one of the best ways to go bar hopping around the city. Choose from multiple tour options, like the Best of Portland and Taste the Town. 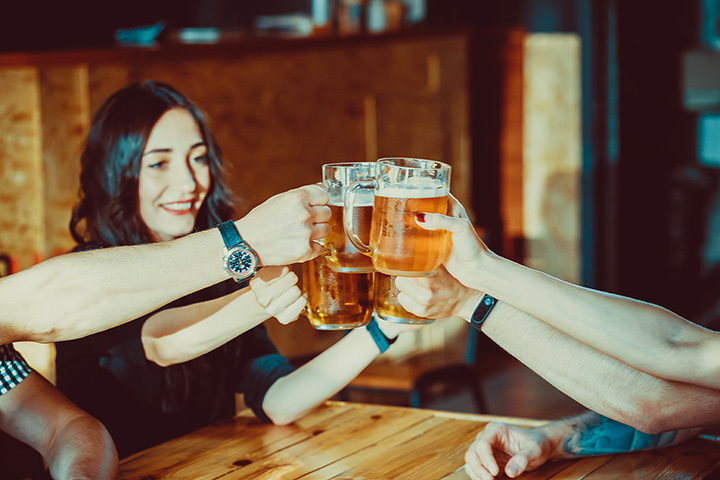 Grab drinks at breweries, wineries, and distilleries like Maine Mead Works, Austin Street Brewing and Stroudwater Distillery. The best part? You don’t have to drive at all! As cliché as it sounds, you can’t visit Portland (or Maine) without eating a lobster roll. While Portland has many great options, Highroller created the ultimate lobster taco. The shell is made of cheese and it’s stuffed with freshly-caught lobster from the wharf. Look for their cart in the Old Port. Get a different view of the city from the water. Casco Bay is filled with beautiful islands that are a short paddle from Portland’s waterfront. Rent a kayak or take a tour with Portland Paddle. If you’ve never kayaked before or would prefer a tour guide, the guided tours are a great way to experience Casco Bay with confidence. The Portland Museum of Art is home to a significant collection of America, European, and Contemporary art from Maine and abroad. See incredible pieces from Winslow Homer, Mary Cassatt, Jasper Johns, and more. The museum also owns the Winslow Homer Studio in Prouts Neck. You can visit the museum for free every Friday night from 4 p.m. to 9 p.m. Sitting high on Munjoy Hill, the Portland Observatory offers breathtaking views and a fascinating history of Portland. Built in 1807, the Portland Observatory is America’s last standing maritime signal tower. For $10 for an adult, you can enjoy the seasonal tour of the observatory. Overlooking the Fore River, Thompson’s Point is Portland’s newest outdoor entertainment venue. During the warmer months, you’ll find tons of concerts, beer festivals, and more. In the winter, rent a pair of ice skates and practice your twirls on the rink. After a concert, enjoy a beer at Bissell Brothers and some fried chicken at Big J’s Chicken Shack. With some many amazing restaurant options in Portland, it can be hard to pick just one place to enjoy. With Maine Foodie Tours, you can get a taste of various places with tours like the Old Port Culinary Walking Tour or the Old Port Lunchtime Lobster Crawl. Tours are led by knowledge guides with deep roots in the culinary industry. Built in 1860, the Victoria Mansion was built as a summer home for Ruggles Sylvester Morse and his wife Olive. Originally from Maine, Morse made his money in luxury hotels in New Orleans. The Mansion is considered to be one of the finest examples of Italian Villa style architecture in America and retains about 90 percent of its original interiors. A visit to the Mansion during the Christmas season is a must to see the incredible themed rooms. Back Cove Trail is a 3.6-mile gravel trail is one of the oldest and most popular trails in Portland. The trail is popular with runners, walkers, and cyclists. The trail offers great views of the city skyline and is well maintained by Portland Trails. During the summer months, the trail is home to many running events. If you’re looking for a little exercise after indulging on lobster rolls, lace up your shoes and hit the trail. Located on Congress Street, the Wadsworth-Longfellow House is a designated National Historic Landmark and was home to famed American poet Henry Wadsworth Longfellow. The house was built in 1786 by American Revolutionary War General Peleg Wadsworth and is one of the city’s oldest surviving houses from the Great Fire. During the summer months, the house is open to the public for tours.